In the end, Seth learns the most important kind of friendly fire from a man who had suffered horrific trauma and a woman who’d lived through the worst life can dish out. If you like Seth O’Malley, Friendly Fire is the book for you. 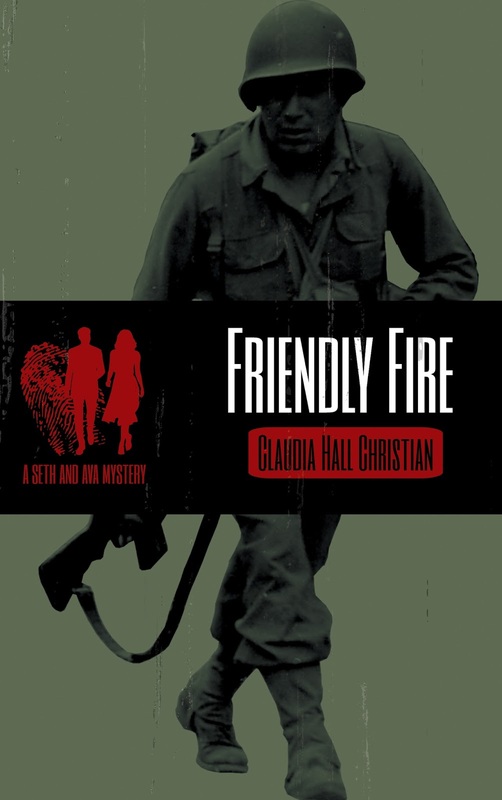 Friendly Fire is filled with memorable characters, romance, and intrigue readers have come to expect from Claudia Hall Christian. Friendly Fire is the third in the Seth and Ava Mystery series. Seth felt a small hand touch his shoulder. Curled up on his right side, Seth opened his eyes and saw no one. Sleep tugged at him, and he closed his eyes again. Seth sat up in bed. Lizzie was his eldest daughter, from his crazy first marriage. She reentered Seth’s life when she was six months pregnant with her stepfather’s child. Seth blinked. Even in the dim light, he could tell that she was well. He smiled at her. “Is that a good thing?” Lizzie asked. Self-conscious, she tucked a piece of perfectly coifed blond hair behind her ear. Lizzie nodded and turned around. Seth went to the closet and pulled on jeans. He pulled a white undershirt over his head. She helped him get the shirt over his bandaged arm. “It’s Julie Ann,” Lizzie said. Tears appeared in her eyes. “What’s Julie Ann?” Seth asked about his second daughter from his crazy first marriage. Julie Ann was on active duty with the US Marine Corps. Seth grabbed a collared shirt. With Lizzie’s help, he put it on over the T-shirt. “Did they say how bad it was?” Seth asked as he threaded a belt through the loops in his jeans. “Who called you?” Seth asked. Lizzie came to him, and he put his arms around her. Over her shoulder, he tried to work it out. He felt moisture from her tears through his shirt. Lizzie looked at him with hurt eyes. Lizzie’s eyes traveled over Seth’s face. “Nothing,” Seth said, with a shake of his head. “Why didn’t she tell me?” Lizzie asked. Once again Claudia Hall Christian has kept me enthralled from page one. Family, love, mystery and a great ride! Seth has some surprises and revelations. Wow! As always I will wait patiently for the next one! This story is a mystery interwoven around a heartfelt family saga. 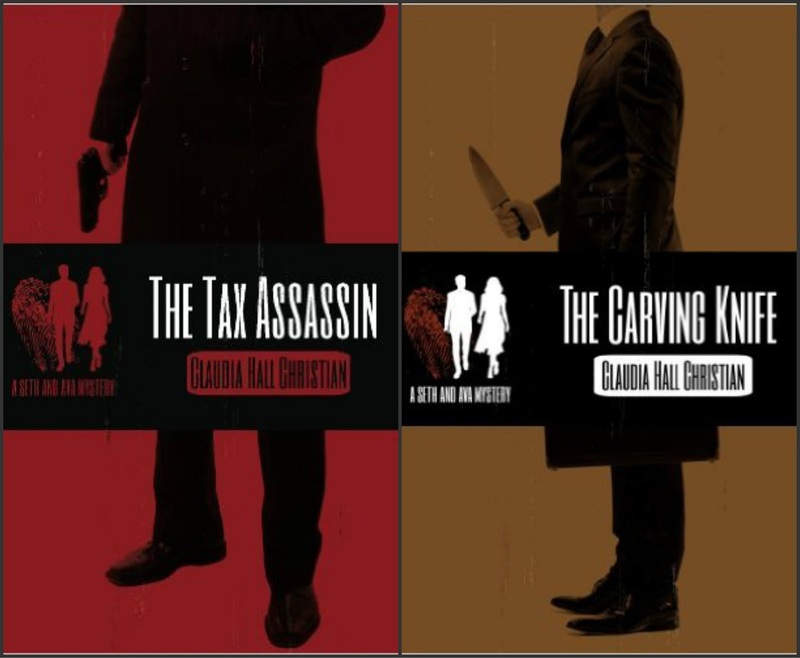 Beautifully crafted with fast paced drama, keeps you turning the pages. The only negative was that I ran out of book to read.